Rotherham-headquartered business process and technology specialist, Parseq, has secured a five year contract with Centrica, the UK's largest energy supplier, to handle its incoming mail - nearly 20,000 items each month. Based at Hellaby, Parseq specialises in mobile and online banking software and technology-led outsourcing services. It processes over 100,000 documents per day, £2 billion of electronic payments a month and make and received over 70 million calls a year on behalf of its clients. The Hellaby facility provides BACS electronic fund transfers, remittance processing and voucher processing services to a number of high street banks. 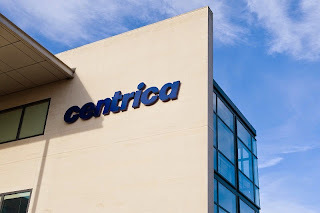 Listed on the FTSE 100, Centrica works at every step of the energy chain, from sourcing and generating it, to supplying it through its companies, British Gas and Scottish Gas. Building on its existing contact-centre relationship, Parseq won a competitive tender to manage and digitally index correspondence including legal, financial documentation, cheque processing, general correspondence and processing cash payments processing. Craig Smith, divisional managing director at Parseq, said: "Because each piece of post Centrica receives needs to be acted upon immediately it needed to be confident that changing supplier wouldn't impact on service delivery. There is no margin for error. "Although this contract hasn't been awarded to a new outsource provider for a number of years, we're proud to say that our expertise and proven experience demonstrated we could not only do the job, but also add improvements and efficiencies to it." Richard Parker, commercial strategy manager at Centrica, added: "The transition to Parseq couldn't have gone better. For us outsourcing isn't about freeing up in-house resource it's about leaving a central part of our business in the hands of the experts and with this contract we feel that's exactly what we've done. "Parseq demonstrated to us early in the tendering process that they had the capability to not only take on this contract, but also the experience to enhance its delivery." With headquarters in South Yorkshire, the growing outsourcer employs around 2,700 people working from five key sites in Sunderland, Glasgow, Rotherham, London and Brighton.